Fishing and hunting are very popular hobbies. It is the best type of entertainment for millions. And that means you can make a profitable business with fishing and hunting supplies. And all you need to overcome your competitors is an eye-catchy and reliable website. 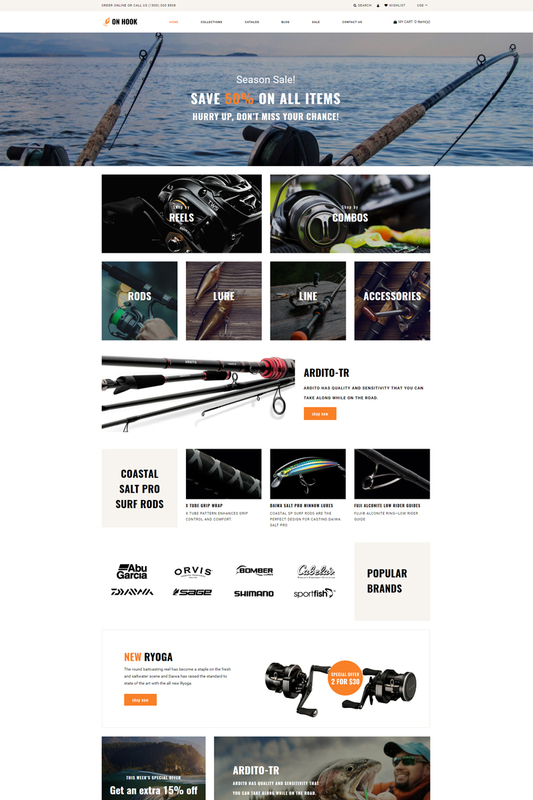 This is why we present you On Hook Shopify theme. Developed to boost your client base On Hook has an attractive design with many visual effects. Due to full Shopify plugin pack On Hook includes cart, wishlist, and currency option. These features provide customers with comfortable shopping. 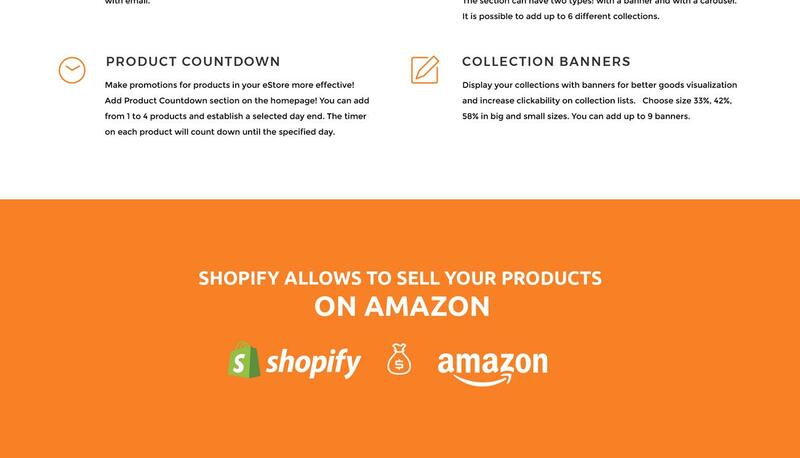 Moreover, this Shopify theme has many prebuilt pages like Catalog, Blog, Collections, and others. You can fill them with products and content to provide customers with easy website navigation. In addition, it will be easy to change your website and you need no coding skill for it. It is user-friendly and highly responsive. You can sell fishing and hunting supplies, accessories and outfit.